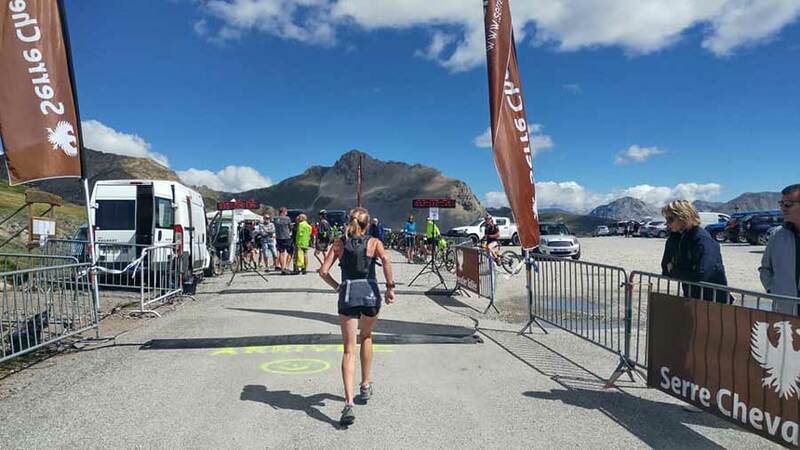 The Defi du Granon annual running event covering 12.4km and 1000m vertical up the Col du Granon is a race for serious triathletes and trail club runners. Were we mad to take part...? 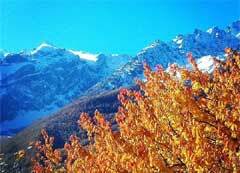 It's one of our favourite ski tour playgrounds, the Granon. We've skinned up many times, starting as far up the road as we can drive, mostly heading for La Gardiole at 2753m and enjoying many an epic ski down in spring snow. In the summer, I have jogged up once, taking just under two hours, starting at Villard Laté, which is10km from the col. it is one of Gavin's favourite mountain road cycle rides, taking around an hour and a half to the Col du Granon at 2413m. However, this week, he had a bike mechanical issue in the form of a broken spoke and so, for the first time in several years, he donned trainers to join me in the Defi du Granon running race rather than the cycle one taking place the same morning while the road was closed to traffic. Kevin, fellow ski tourer from Serre Che, also decided to take part, having done sub three hour marathons in the past, but not for a few years. Both of them figured that they could speed hike up if necessary and still do it in under two hours. There were 60 runners lining up at 10am for the start at Chantemerle. The sun was already beating down from a cloudless sky sending the temperature up to 26C and rising. It was reassuring to note that among the young running contingent, the sort who do marathons as training for ultrathons, there were quite a few older competitors. But a closer study revealed that these weren't just your everyday aged recreational joggers. You could tell by their lean sinewy legs and weather-beaten faces that they eat col races for breakfast. With the starting car in front, they were off, all gappy grins as they leapt up the increasingly steep incline like grarly mountain goats. I was spat out the back by 3km and left to eat their dust. The 'vins', Gavin and Kevin, had disappeared with the pack valiantly keeping up at what was turning out to be a fiercely competitive pace. Should I give up? Turn around and head back for a coffee? Every running pace up the 10 percent brutal incline was an effort, even though every running pace took me nearer to the top. 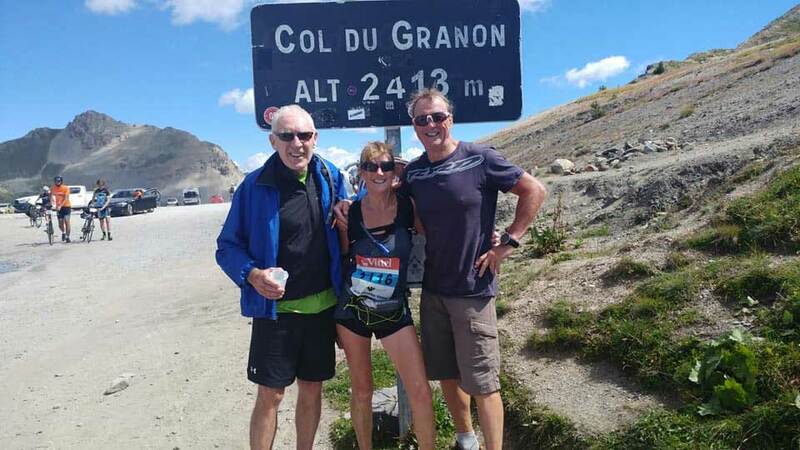 But I knew I was going to be last and started to fear that the coach taking all the runners down from the Col du Granon would have left by the time I arrived. I have never been last in a race before because every marathon, half marathon and 10km has included many a recreational or fun runner far slower than me. And, though I'd always admired those dressed as letterboxes and plodding 26.2 miles in ski boots for publicity for their charity, I had never envied them there tail-end position. Even skiing, I hate being the back marker, which, skiing mostly with guys, is not an unusual position for me. But I always welcome slower, less proficient off piste and backcountry skiers so I can be the one waiting with a sympathetic smile as they arrive breathless, goggles still covered in powder from their last headplant. So, anyway, there I was still with 7km of steep road to go, with Kate Bush's Running Up That Hill playing in a loop around my brain when the first five cyclists came past (the start for the 120 or so cyclists was at 10.30am, a half an hour after the runners). Even though they were seriously competitive, as this race actually awards prizes for the first in their category, they all shouted 'allez, allez' at me. Then another four overtook me going 'bravo, bravo'. By the time the next bunch cycled past going 'courage' (think French accent), my Merrell trail shoes had grown wings and I managed to pick up the pace for a hairpin or two. The cyclists were spread out over a few kilometres as there were quite a few struggling with the gradient so I had encouragment all the way and, by the time I was within 5km of the col, the leader cyclists were coming back down so I had 'allez allez' all over again. Finally, it was the last kilometre, the last 500 metres (painted on the road) and then the finish was in sight. I almost hugged the 2413m col sign I was so pleased to see it. My final time was 2 hours 7 mns. Kevin did a blistering 1 hours 43 minutes, Gavin a decent 1 hour 50 mins, so, in the general scheme of steep things, I wasn't actually that far behind. The coach was still there even though, for the guy who came first in the insane time of 53 minutes, it was rather a long wait for me, the last to arrive. But there was plenty of food and refreshment provided by the organisers (fortunately last one up didn't have to buy the drinks). And, by the way, I came second in my category (fairly ancient women), which meant there were only two of us over 60 taking part. The French woman who won this category was half an hour ahead of me, beating many guys who were younger. I would have shaken her hand if mine wasn't so sweaty. Also read The Run Diary.